Joanna Avant, Personal Stylist: MEMORIAL DAY SALES! Nordstrom is having their Half-Yearly Sale for women and kids. If you use a Nordstrom card, you get double points through 5/23. Additionally, if you click through Ebates, you get a 5% cash rebate. (Do you use Ebates? You should. I've been doing it for years, and there's really no catch! If you decide to sign up, I will get "Tell-A-Friend" credit if you click through this link.) I love these Alexis Bittar Lucite bangles to add a little color to an outfit. Other favorites are this cover-up (just in time for the pool) and this bright maxi skirt. I haven't had aviator sunglasses since high school, but I'm feeling these Ray Bans, especially at the sale price. Last Call by Neiman Marcus is having a great sale -- 40% off your entire purchase through 5/23. On 5/24, the discount drops to 30%. (5% rebate from Ebates, too.) These strappy sandals are a great addition to any closet. I'm seriously considering taking the plunge on this or this. And isn't this a lovely tote for summertime? Another good sale is going on at Shopbop. 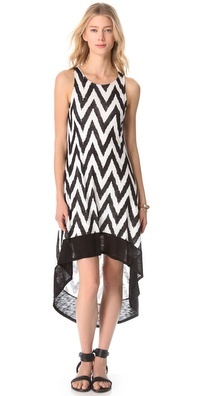 I love this site, sale or no sale, but this floaty little number is even more appealing at 50% off! I'll also take a pair of these, and there's always room in my closet for another simple, fun dress that can also be used as a cover-up. If you see something you like, snap it up quickly because stock seems to be low on most of the things that caught my eye. Free 3-day shipping and free returns make it easy to buy now and think later. That's gotten me in trouble more than once! Ebates offers a 3% rebate at Shopbop. Do you need help figuring out how to incorporate great sale finds into your wardrobe? I would love to help you make all of these ideas part of your everyday routine. 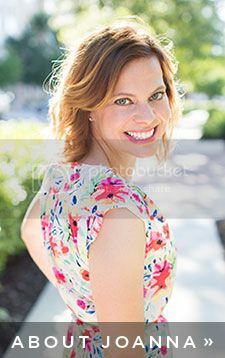 If you want to know more about my personal styling services in Richmond, VA, I would love to hear from you. Let's connect!